It is easy to bring traffic to your site, but it is very hard to convert the traffic. Firstly, let’s understand what traffic and conversation means. In simple words, traffic is the number of people that visit your site. You can improve traffic by working on search engine optimization. Now comes conversion. Conversion is when these visitors the action that you desire out of them. For example, if you run an ecommerce store, you would like them to make a purchase. Hence, when a visitor successfully purchases off your site, it is said to be a conversion. For most businesses, traffic is useless unless there is no conversion, which is why they are working to improve conversion rates that currently stand at about 2.3% for most websites. This is pretty low which is why businesses need to make changes and push it up a bit higher. It is important to have a visually stunning website. Choose a theme that is easy on the eyes and simple to navigate. Avoid clutter as it can confuse users and strategically place sections and headings. Moreover, take care of linking and put a search button to make it easy for users to find what they need. It’s a do or die situation for businesses that depend on their websites to make sales. They have less than 10 seconds to convince a visitor as most users will switch within 10 seconds if they are not impressed. While the content and visualization is important to make them stay, there’s another element which plays an important role, the call to action button. A call to action button is simply a way to tell users what you want out of them. For example, if you want them to make a purchase, you can have a button asking them to. This is why it should be placed strategically. Experts suggest to put it on the top – where it is visible – so that more users can click on it. Other than this, the button should be visually appealing and of the right size with readable font. Visuals play an important role in boosting conversion. Plain text won’t help you in converting customers but good visuals will. Post relevant images and videos as they have a better CTR than text. In fact, about 64% to 85% visitors buy a product after watching a product’s video on a website. The idea here is to win the trust of the visitors to make a conversion. Here’s where social proof can be of great help. Have a testimonial section to highlight what others think of your products or services. It should be short and positive to leave the desired impact. 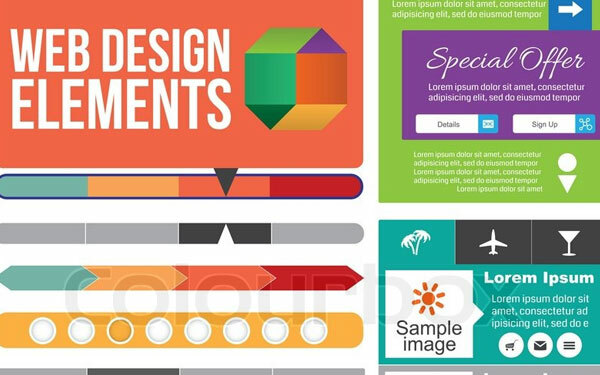 Keep these things in mind when designing a website and you will definitely get good results.